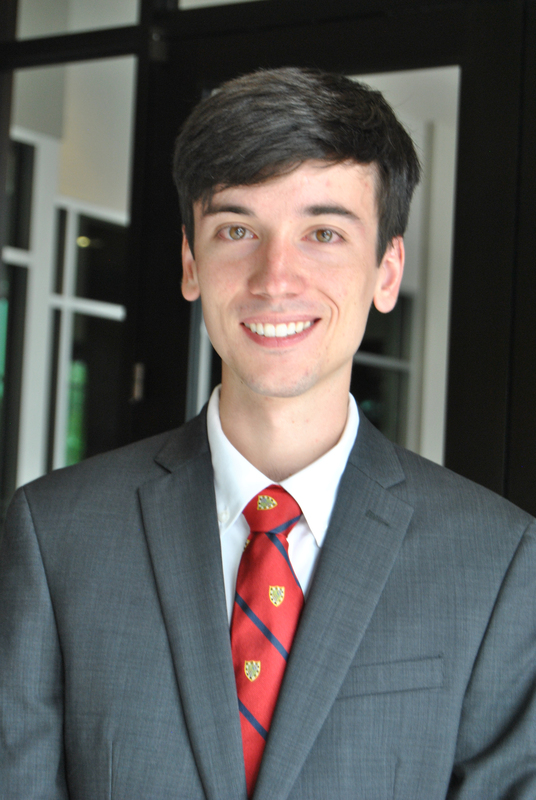 William Schmidt is a senior with a double major in Bioengineering and Medieval History from the California Institute of Technology. He is an intern with Jet Propulsion Laboratory and has conducted research in the Biotechnology and Planetary Protection lab group of Spacecraft Mechanical Engineering. His research includes the development of new techniques of spacecraft sterilization, optimization of current sterilization techniques, and development of system and subsystem level biobarriers for future spacecraft. Schmidt is the third author of “A Comparison of the Chemical, Optical and Electrocatalytic Properties of Water-Oxidation Catalysts for Use in Integrated Solar-Fuel Generators” published in the peer-reviewed scientific journal Energy and Environmental Science. He is a BoC Representative and serves on the Caltech Board of Control; the BoC committee hears cases of potential Honor Code violations by undergraduate students. As an Admissions Tour Guide, Schmidt has also worked with Caltech Undergraduate Admissions for the past three years to provide student-led tours to prospective students and their families. Earlier this year, he also served as a Teaching Assistant for Professor Rob Phillips’ course, Bi1: Principles of Biology. In 2016 as a Residential Counselor for the Freshman Summer Research Institute, Schmidt introduced incoming underrepresented freshmen students to Caltech’s research and math curriculum, culture and college life, and academic and student support services. Previously, Schmidt served as a Caltech Summer Undergraduate Research Fellow for the Joint Center for Artificial Photosynthesis; he conducted research in the Lewis Group on the optical and electrochemical properties of Nickel Oxides for use as protective coatings in water oxidation devices. As Summer Researcher for Freshman Summer Research Institute in 2014, Schmidt conducted research in the Hay Lab on D. melanogaster and the transgenesis of B. cockerelli. Schmidt also holds several leadership roles in several Caltech student-run organizations. For three years, he served as president of the Caltech Latino Association of Students in Engineering and Science; a Chapter of Society of Hispanic Professional Engineers (SHPE), which is committed to aiding and advancing undergraduate Latinos in their future careers as scientists and engineers. Schmidt is the current president of Caltech Newman Center, as well as Caltech Christian Fellowship. Other positions within the Caltech community have included being the CCF Council Small Group Coordinator and serving as Treasurer for Ruddock House, Caltech Newman Center and Caltech Christian Fellowship. In addition to his work and service on the Caltech campus, Schmidt is a research intern with the International Institute of Management. He is working with Mexico’s Deputy Secretary of Education to promote STEM within Mexico; Hon. Javier Treviño currently serves as on the board of advisors and is Public Policy and Education Chair of IIM’s think tank research. Schmidt is a dual Chile/US citizen. His areas of interest include Biotechnology and Planetary Protection, Developmental Biology, Genetic Engineering and Circuitry, Insect Vectors of Diseases, Medieval History, and the History of Warfare & Military Technology. He is fluent in English and Spanish with a strong reading competency in Latin.